Generosity is at the center of the religious experience. Some see giving to their religious community as giving thanks for the spirit of life, perhaps even giving thanks to a greater power. Others see such gifts as a way of promising a spiritual home to the next generation. Others have a vision of the community that they want to bring to life through their time, talent and treasure. Our pledge campaign for the next fiscal year is now underway. We are trying to collect all pledges by March 31, so that our elected leaders will know what income we can expect and make good decisions about our programs and staffing. Click the link below to open the pledge form, A Commitment to Your Congregation. New to pledging? No problem! Click the link below to open our Annual Giving Guide. 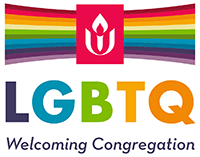 Central Unitarian relies on the generosity of its members and friends to maintain its vibrant programming and to keep its doors open to all who search for religious home that offers a free and open search for meaning and spiritual diversity. We ask each of our members and friends to make the powerful, personal statement of a financial commitment to the congregation each year. As your faith grows and is nurtured here, so we hope your financial support will grow over time. Indulge in the joy of giving as generously as you know how – consider giving at least 2% of your adjusted gross income. You will see the direct benefit in the health and vitality of your chosen religious home. 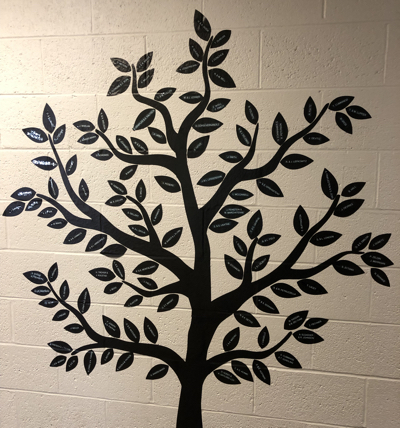 You will have the pleasure of knowing that you are part of the foundation on which rests Central Unitarian’s mission to challenge us to become our best selves, minister to one another in love, and serve the greater community. Buy a supermarket gift card in the rear of the Sanctuary after our Sunday service, and use it on your next trip to the grocery store or contribute it to the Center for Food Action. In either case, CUC receives a small percentage of your purchase at no additional cost to you. The Endowment Trust Fund allows individuals to fund vital ministries of the church that are beyond the reach of our regular operating budget. They may include capital improvements to our facilities as well as special programs in religious education, music and social outreach. To ask about making a pledge or participating in Stewardship at CUC, email stewardship@cucparamus.org.